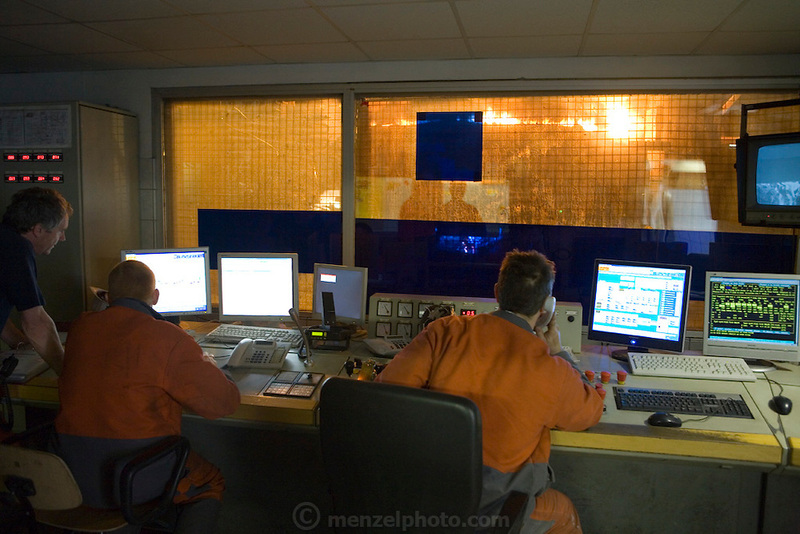 Control room of electric blast furnace at Profilarbed, S.A. Steel Mill in Luxembourg. Makes steel from scrap metal with an electric furnace. Profilarbed is now part of the Groupe Arcelor..